Four FIU students will have the chance to participate in a groundbreaking research and education expedition into the Arctic’s Northwest Passage in the summer of 2017. 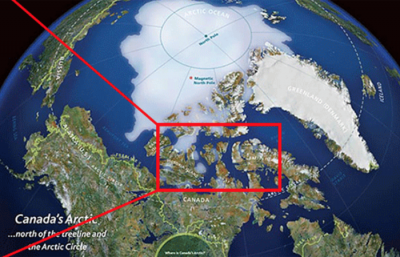 The Northwest Passage is a sea route connecting the northern Atlantic and Pacific oceans through the Arctic Ocean. For centuries, it has been unforgiving to those attempting to travel through it. However, the recent decline in Arctic sea ice has made the passageway more navigable. 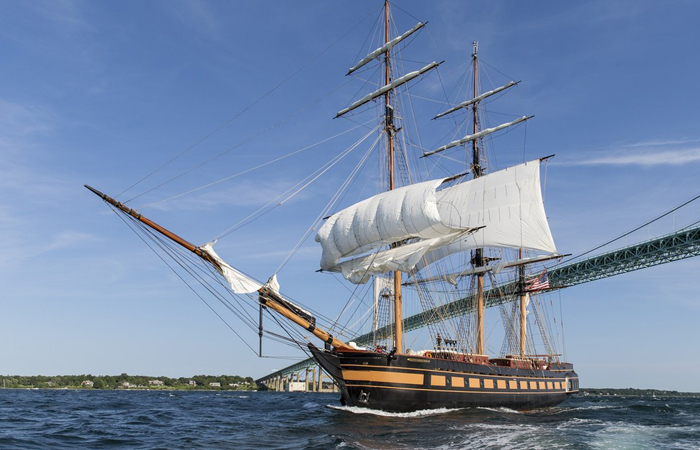 The recently announced expedition will explore the changing Arctic on the SSV Oliver Hazard Perry, the first full-rigged sailing ship to enter the Northwest Passage in more than a century. The project is now accepting applications for interested students. The expedition, supported by a $3 million award from the National Science Foundation, features six minority-serving institutions including FIU, and is led by the University of Rhode Island. Kevin Boswell, assistant professor of biological sciences at FIU, will serve as the university’s faculty liaison to the Northwest Passage Project. Students selected for the mission, which will include three FIU undergraduate students and one graduate student, will serve as part of the crew and participate in the filming of a documentary. They will work alongside a team of ocean scientists, historians, and Arctic naturalists. Boswell said the selection process will be open to all university students enrolled in a STEM major, but will be intense selection process. Once finalists are selected, they will be required to participate in a semester-long course to prepare for possible selection as one of the four. Requirements for participation and the application are available online. In addition to the University of Rhode Island and FIU, the Northwest Passage Project is a collaboration with the Inner Space Center and Graduate School of Oceanography, David Clark film company, five other universities, three science museums, and PBS NewsHour Reporting Labs. Daily student and scientist live broadcasts from the ship will be delivered over the Internet from the URI Inner Space Center to FIU. And once complete, Boswell and the participating FIU students will host an on-campus screening of the two-hour documentary from the expedition. The opportunity for students to participate in such a mission is a bit surreal for Boswell, who conducts research on near-shore marine habitats in the Arctic. When he was first contacted, he thought it was an email scam. It seemed simply too good to be true, especially the part about a three-masted tall ship. Fortunately, his curiosity was piqued and he contacted colleagues only to discover it was, in fact, an NSF-funded mission. This is fantastic! Best to all, especially FIU students and faculty.